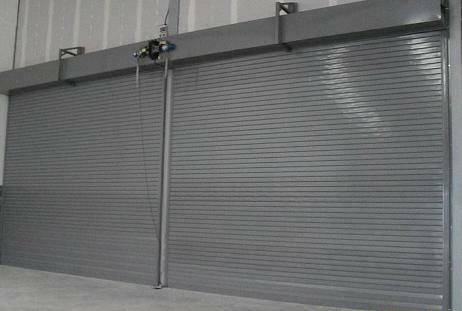 ← Think You Can’t Afford Security Shutters? If you’re running an industrial business, you’ll have a huge amount of capital and profit-turning processes contained within the site. You’ll want to do everything you can to make sure the source of your livelihood is protected. In this post, we’ll go through some essential steps to making sure your industrial premises is secure. When planning to tighten the security of your industrial premises, the first important step is identifying its weaknesses. This should be carried out in two stages. First of all, a simple walk-around audit with a trusted employee who knows the premises inside and out. Secondly, do a little research on the kinds of industrial crimes that have affected your area in the past. When you come to tighten up security, this can be helpful for knowing what to prioritise if your budget is stretched. Most industrial properties have several potential entry points for thieves and vandals. With this in mind, you need to ensure that all of them are adequately protected, with extra measures such as our security doors in London. Again, if you’re on a tight budget, take some time to audit the different entry points around your site, and prioritise where you should be putting most of your security budget. Save the expensive, heavy-duty security shutters for larger, more visible entry points. For others, simply replacing the doors and locks will usually suffice. Almost every industrial business is now fitted with CCTV and alarm systems. However, it’s important to make sure yours are able to keep up with modern security demands. Outdated, low-resolution, low-framerate security cameras, alongside faulty alarm systems, have cost many business owners dearly over the years. When burglar alarms fail to activate, it will delay the response time of the security firm you’re contracted with, and if CCTV footage isn’t of a high enough quality, it can fail to get a conviction in later legal proceedings. If you’re planning to tighten up security for your business, and need some high-quality security doors, shutters, or other products, we’ll have you covered. Contact us today to find out more about our products and services.